Wow! Big day for the Swap Meet-Full house and parking lot early this AM. Nothing like this show, so many looks from classic to modified-perfect finishes to rustic parts. Letting the camera make the choices for what made it into the CarShow Gallery. Usually a few Falcons and Rancheros but this month was a NO-Ranchero. Featuring the Hood Mascots from the show on the car-tografi site-Check it out! 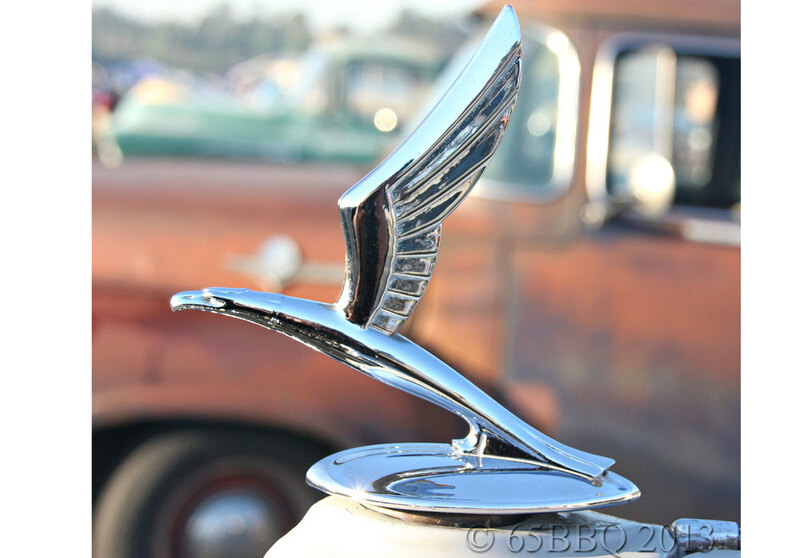 Go to: CARSHOW GALLERY to check out the Pomona Swap Meet 10-13 or click here. Big D is staying off the radar, his "best of show pics"-a very rare 1960 gold-en girl & 1947 Vintage Clock.